Apple AirPods have finally started shipping to consumers and if you are planning to buy one then it is important to know that these wireless earpods are almost impossible to repair. With Apple having dropped the 3.5mm headphone jack, AirPods are the answer to a dongle-free life. The teardown of AirPods by iFixit reveals that these tiny wireless earbuds are simply a combination of technology and glue. AirPods combine bluetooth, microphones, infrared sensors and a battery all into a tiny form factor. 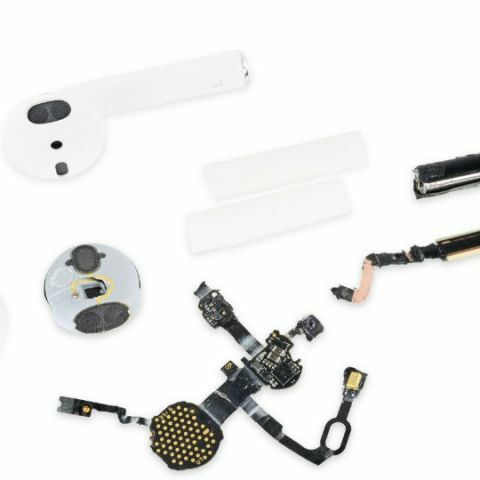 iFixit describes AirPods as "If jamming complex components into a small form factor and sealing it with a copious amount of glue were a game, Apple would be winning." If you break AirPods even by mistake then there is no hope for you to fix it. iFixit gave the wireless earbuds a repairability score of 0 out of 10. However, iFixit did manage to see the technological prowess of these headphones. iFixit notes that the battery is tiny at 93 milliwatt but it is rated to deliver at least five hours of music playback. Also AirPods look similar to Apple earpods because Apple decided to add an antenna for better reception into the boom-shaped extension apart from providing support. Apple AirPods cost Rs 15,400 in India and Apple recently confirmed that it will charge $69 to replace or repair a single airpod or its case. WHEN DOES THE 2016 APPLE STUDENTS OFFER START.. IS IT USEFUL ? ?